by Greenberger, Dennis, Padesky, Christine A., Beck, Aaron T.
Comments: Book shows wear from consistent use, but remains in good condition. Book is warped due to poor storage Book contains no highlighting/writing/underlining. Cover art may differ from stock photo. Greenberger, Dennis, Padesky, Christine A., Beck, Aaron T.
Ideal for client assignment, this guide draws on the authors' extensive experience as clinicians and teachers of cognitive therapy to help clients successfully understand and improve their moods, alter their behavior, and enhance their relationships. Illustrated with major case examples, the book presents in step-by-step fashion the skills for identifying problems, setting goals, and achieving the desired changes. Accessibly written, it also helps therapists augment their sessions by providing clients with instructions and exercises that will reinforce the skills critical to maximizing therapy effectiveness. 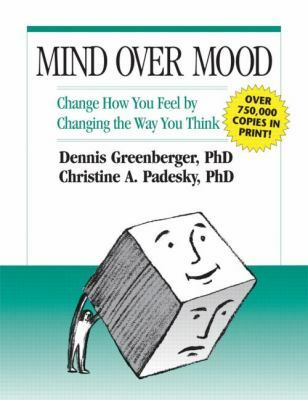 Clients in therapy, mental health professionals wanting their clients to lean cognitive therapy skills, and anyone else interested in self-help will be interested in this book.Greenberger, Dennis is the author of 'Mind over Mood Change How You Feel by Changing the Way You Think', published 1995 under ISBN 9780898621280 and ISBN 0898621283. Loading marketplace prices 27 copies from $0.71 How does the rental process work?